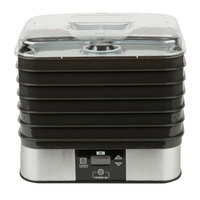 Make your own house-made vegetable chips, beef jerky, and more using food dehydrators. These dehydrators are designed to retain the flavor of food without the use of additives and preservatives, allowing you to create healthy dining options for guests at your restaurant! 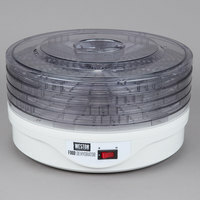 You can place your food dehydrator on your counter or store it away in a cabinet, thanks to its compact size, which will help you free up space for prep. 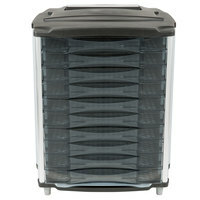 A food dehydrator also eliminates that unnatural smoky flavor you find in commercially processed meats. Marinade meats and season veggies before drying them for an extra savory flavor. 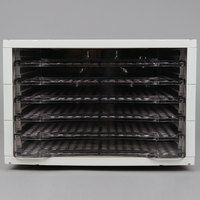 These dehydrating units come standard with timers so you won’t overheat your products. 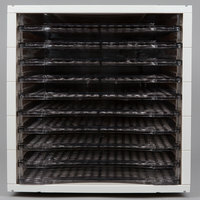 Choose from tier and tray-style racks to dehydrate large batches of food at a time, and try a dehydrator with over a dozen shelves to make extra-large quantities. 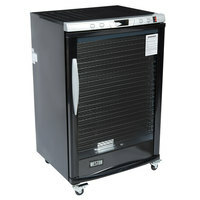 Good - This SSFD10 ten rack food dehydrator offers a total power rating of 800W and many of the great features you expect in a commercial unit! From the stainless steel construction to the built-in thermostatic controls and top handles, this dehydrator is a great choice for restaurant kitchens and cafes. Better - Offering 1000W of power and over 15 sq. 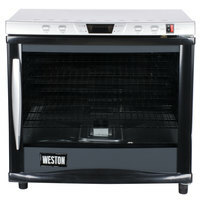 ft. of area for drying foods, this Weston 74-1001-W ten rack dehydrator is a great choice! 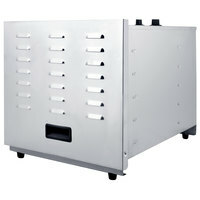 Its stainless steel exterior is durable and long-lasting enough for commercial use. Plus, this model falls right in the middle range when it comes to price point. 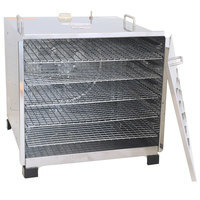 Best - With great features like an adjustable temperature range, 12 hour timer, and stainless steel construction, this Avantco CFD10 ten rack 1000W dehydrator offers the best in value! It matches up with many big-brand units in power and performance but comes to you at a lower price, making it great for startups and small businesses.